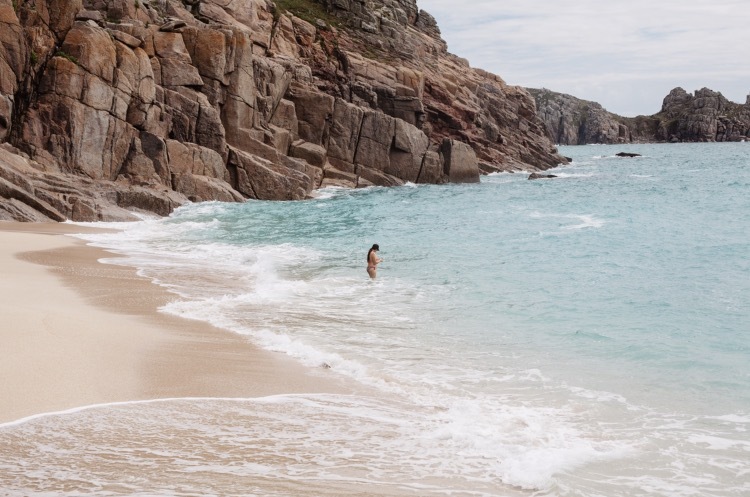 My soul longs for adventure, even micro ones that are only a short drive down the coast gift my body mind and soul with nourishment that I'd struggle to source from elsewhere. 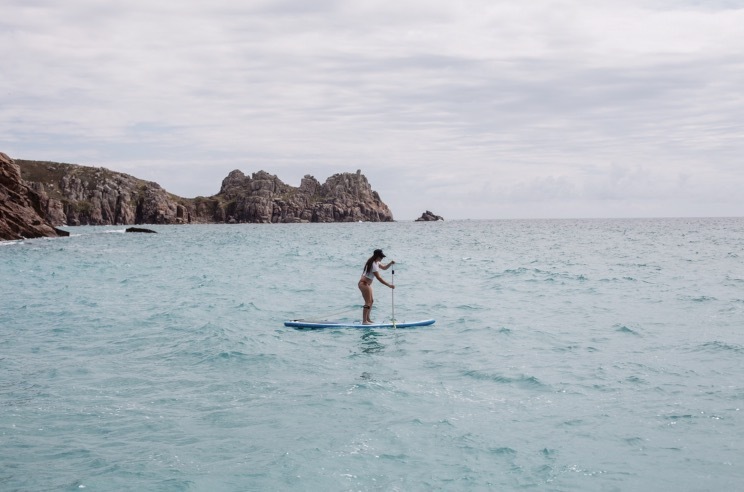 The other day Lizzie and I went on a micro adventure paddle boarding around Porthcurno. The adventure lifestyle is something i've been thinking a lot about lately and this trip gave me an opportunity to think about it some more. I feel that my intuition is leading me to a place of bigger adventures but my analytical brain has forced myself to sit down and think about why this is important. What do they give me? aside from a nice Instagram page full of cool photos whats the real point in it all? How do I become a better person through adventuring? How do i become more connected to the world and it's people? Whats the point in which it all becomes superficial and pointless? How do I not become one of 'those' bloggers that despite their hundred thousand followers and photos from every beautiful destination on the planet completely and utterly disinterest me? All this pondering has lead me to place where I can articulate 4 reasons for adventure. 'Hayley's purpose for adventure', if you like. Theres a couple more reasons bubbling away under the surface but I havent yet been able to find the right words to attach to them in order to get them out of me, so inside me they shall remain, simmering away until I read something, or have a conversation with someone or i'm lead to a place where it all suddenly makes sense and I can articulate them clearly. I'll write that blog when they are ready to reveal themselves. For now, heres what I can share with you. You connect on a deeper level with the people you adventure with more than you do the people you grab a coffee or do brunch with. FACT! When Leigh and I first got together we went on a surf trip to Bali. We'd only known each other for a couple of months but had decided we were ready for our first adventure together. we woke early to watch sunrise, rented motorbikes and went in search for quieter reef breaks, ate bbq'd fish on the beach late at night and made lots of really beautiful and special memories. However, we also had a tonne of money stollen from us, bikes break down leaving us stranded hours before our flight departed and a trip to the hospital that ended with a plastic surgeon sewing leighs face back together with 43 stitches (Surf board fin hit him in the face whilst he was in the water and slashed his mouth open). It was the best trip ever and it fast tracked our relationship by at least 6 months. We learnt that we had the same level of tolerance for risk, that we both sought out certain environments and avoided other settings like the plague. Leigh learnt that he could trust me to deal with stressful situations in a calm manner when he had blood gushing from his face. I learnt that Leigh was 100% the man I wanted to someday call my husband. 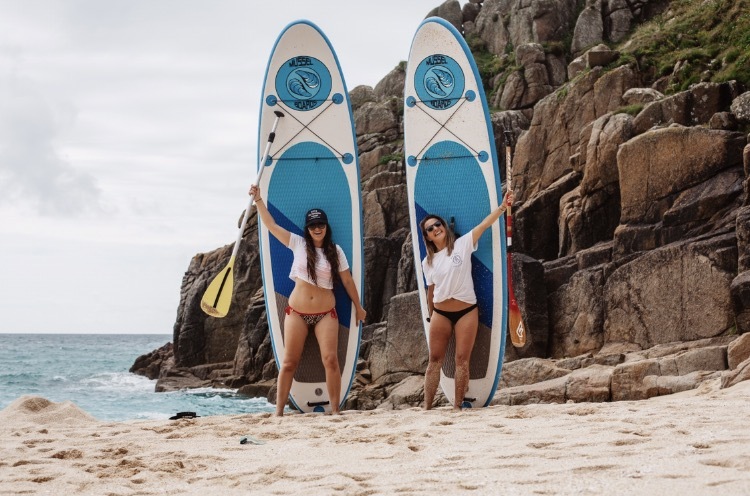 When Lizzie and I decided that we wanted to go on a paddleboard adventure the other week we both had to voice our ideas and agree upon a plan that worked for the two of us. Once there we respected each others boundaries by not pushing the other to go beyond their own personal limits leaving their sense of safety intact. We laughed, had conversations and made memories that will undoubtedly last a lot longer than a simple brunch or coffee. Adventure forces you to communicate, negotiate with respect and to really understand the other person. It forges a deeper connection with your fellow adventurer. As I was researching the theme of adventure one thing kept popping up. That adventure had an uncertain outcome. Uncertainty is not something us humans are very good at dealing with. Biologically speaking we're wired to avoid uncertainty. People come up with big visions and ideas all the time but many are quickly dropped because the creators are unable to deal with the high-level of uncertainty and emotional anxiety that creating an idea generates. Its this failure, much more so than lack of creativity, vision, skill or business know how that destroys many great ideas before they even get out of the starting blocks. The truth is that the world is a very uncertain place, its moving and changing at an exponential rate and if we are going to survive here with our sanity intact, uncertainty is something we are going to have to learn how to navigate. Not only that, but if we are to contribute to mankind in a meaningful way we need to be able to bring all of our ideas and visions and creativity with us. This means that we need to give our ideas a chance to thrive and not allow the fear and anxiety that comes with uncertain outcomes to consume the ideas before they are given a chance. Going on adventures stretches our capacity to deal with uncertainty and encourages us to focus on the learnings from the journey rather than focusing solely on the destination. The more adventures we go on the more we begin to trust ourselves that if something unplanned did happen we would be able to deal with it. The more we trust ourselves to deal with whatever life throws at us the more we can press into life and squeeze everything it has to offer out of it. Each adventure teaches you more about your self. You learn what you body and mind are capable of achieving and the kind of people you like to have along for the journey. Each adventure weaves itself into the fabric of your life providing you with experiences and lessons that shape who you become. Adventures also have a habit of taking us outside of our comfort zones and its here that we meet and engage with people who we wouldn't normally come across in our daily lives. These people from different cultures with different stories to share teach us empathy, acceptance and the oneness of human kind. The brains neural pathways are influenced by environment and going on an adventure that places us in new environments encountering different situations literally changes the landscape of our brain. It encourages us to think in different ways and problem solve from different perspectives. Adventures in nature enhances our creativity as we connect with wild and strong environments. My favourite place to go is on top of a cliff top that overlooks the ocean. As I lay down I can feel creation creating and repairing the landscape beneath me. Whether your spiritual paradigm tells you that God, Mother nature or some other force is at the centre of creation, being in nature is as close as you can get to a true source of inspiration. 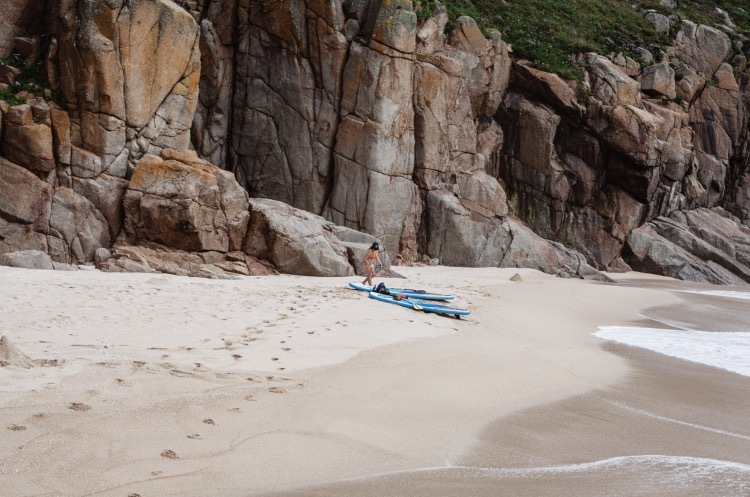 2)Paddleboard around the headland and find a secluded cove that can only be accessed by the sea. 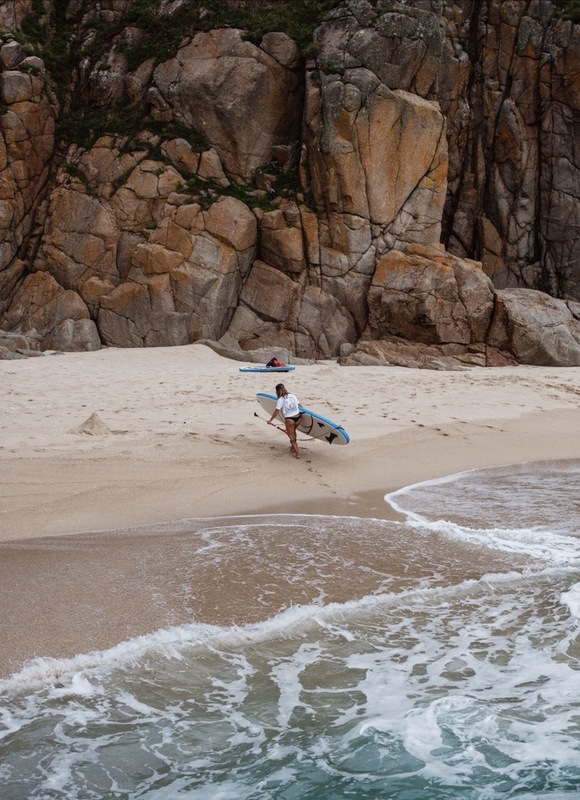 Look around and make sure that you've got the whole cove to yourself. 3)Climb up the cliffs and throw coconuts off the top of them. Hope they crack in half on the rocks at the bottom. 4)Climb back down the cliff and gather up the shattered coconut shells. 10)Sit back on your paddle board, look out to the crystal clear waters, sip and munch your way through your cocktail then high five your girlie because life doesn't get much better than this. I'd love to know your thoughts on my 4 purpose for adventure. Is there anything you would add or elaborate on? I love hearing from new people so please comment below.